My siblings and I have been planning to go to Tagaytay two weeks ago to bond over food. However, since my brother had some matter to attend to in the morning, we were able to leave our house at 1:45pm. We were supposed to eat at another restaurant somewhere in Crosswinds, but since we left late, traffic was already bad. We avoided traffic through the help of waze, and my brother asked for restaurant options to choose from. We were able to come up with Aozora mainly because it was the closest one from the road where we exited. 7 salmon sashimi slices. I am not a fan of sashimi, but I still gave this a shot and it was okay. 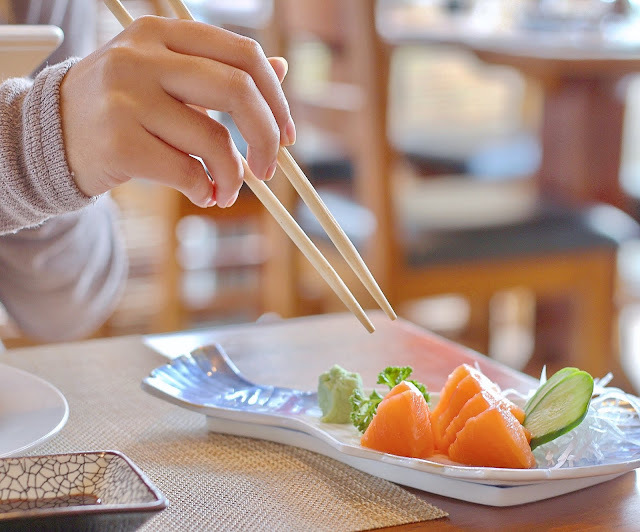 Don’t take my word for it for I am not an expert on this, but my basis on liking it was that I was able to swallow the sashimi without almost throwing up. My brother liked their fried rice a lot. He ate this together with the tonkatsu and ebi fry. Although the menu says it is good for two, my brother was able to finish the whole plate without our help. But to me, it was just fine. 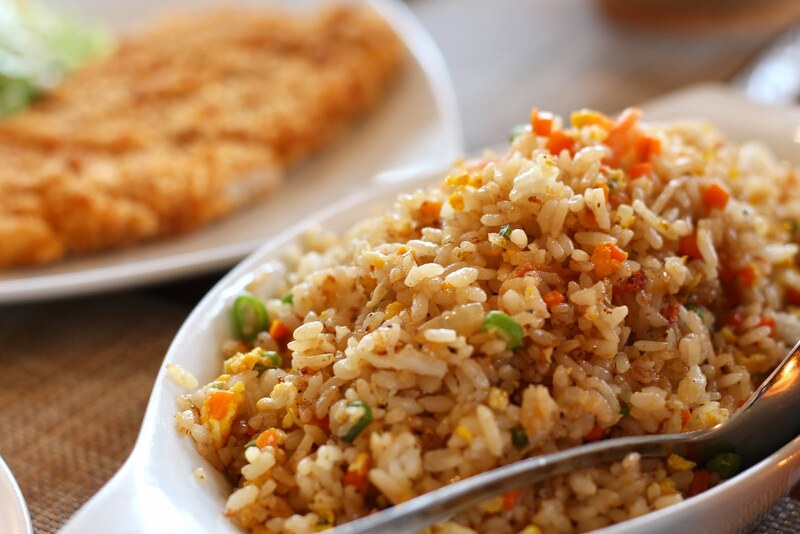 It was tasty, with all those diced veggies and probably some soy sauce giving the rice just enough flavor. Serving for the gyu don was huge, both for the rice and the beef. 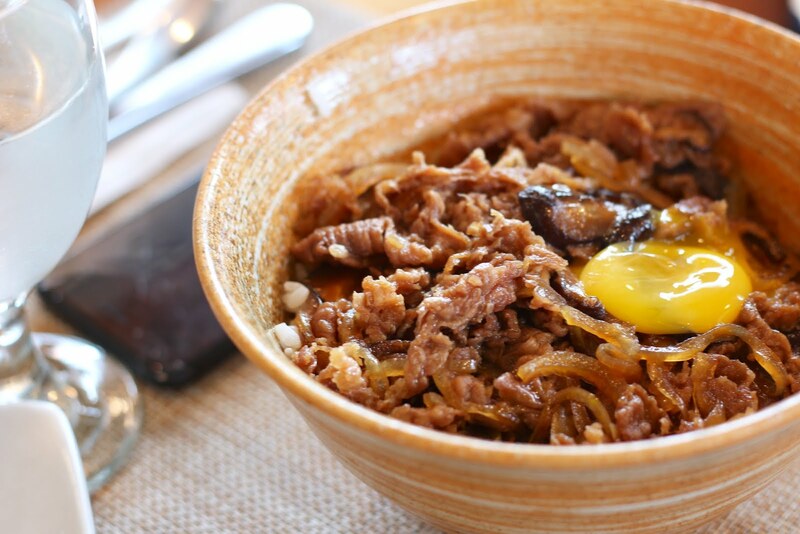 Taste-wise, it tasted like a normal gyudon. 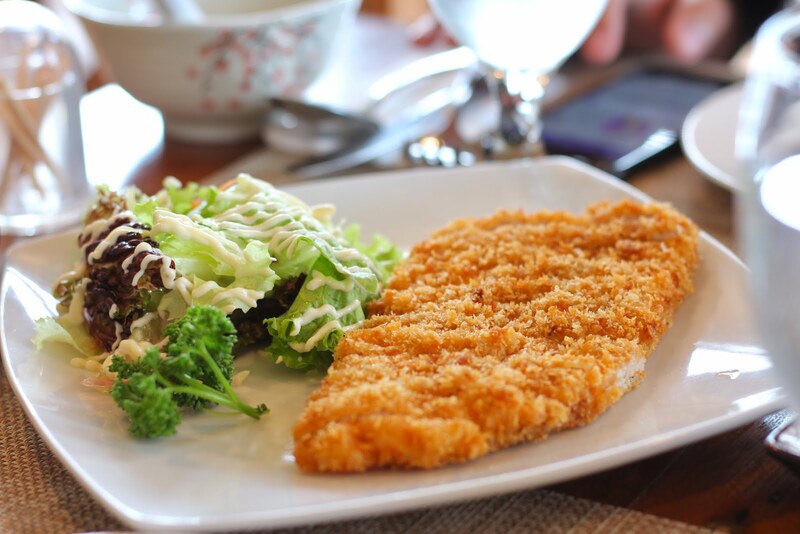 Their tonkatsu came with some side salad instead of rice. It was good enough. The breading was crispy and wasn’t too thick. The meat itself was thinner than usual, but it wasn’t dry and hard. 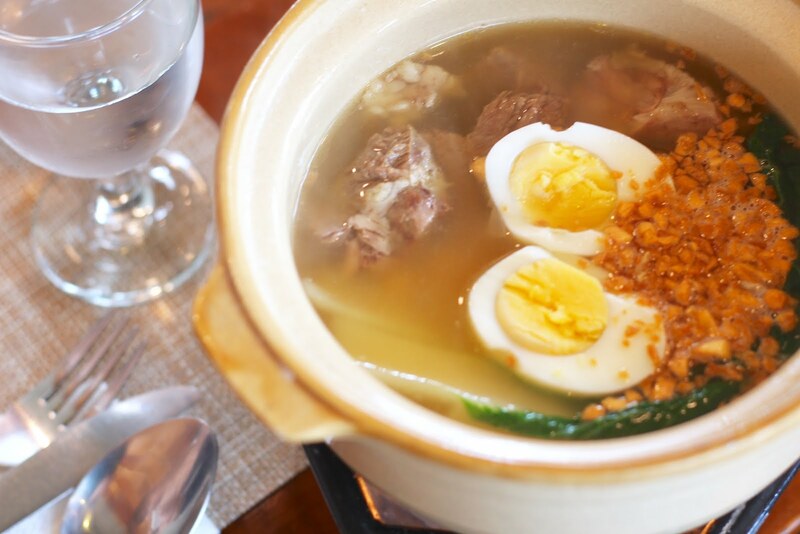 Their ramen is bulalo-inspired, which is a must-order dish when in Tagaytay. This ramen practically tasted like Mami because of the fact that it is loaded with garlic. Another notable thing about this dish was the tenderness of the beef. Aside from this, I found nothing special about this ramen. Serving was okay. The four of us shared this ramen, although I think an order of this is sufficient for one person. 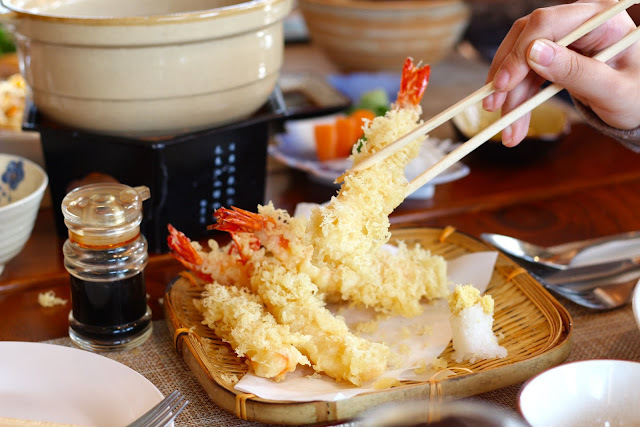 Another typical, classic tasting Japanese dish from their menu is their tempura. I liked that it was crispy, light and not too oily. 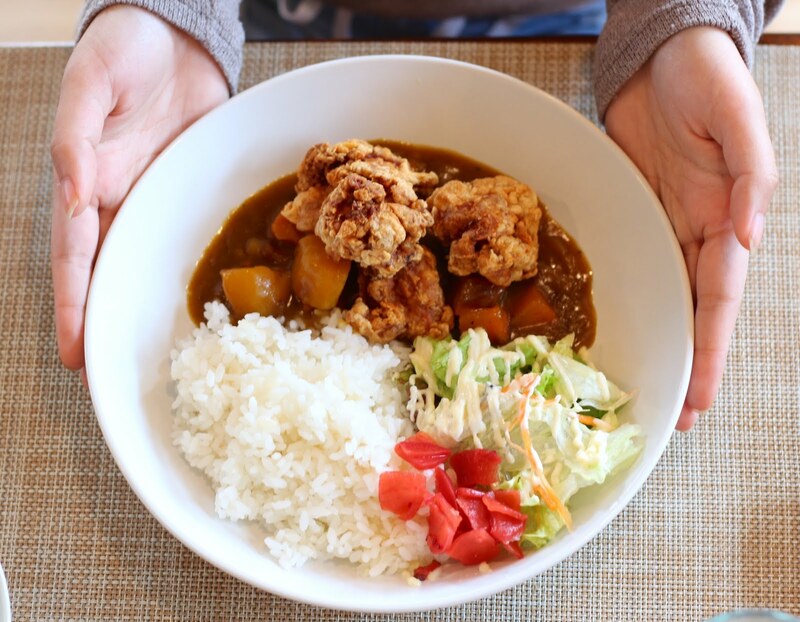 Three pieces of chicken karaage on top of their curry sauce. The dish comes with a cup of rice and some side salad. I liked how the karaage tasted, although the breading easily peels off of the chicken. The sauce wasn’t spicy, but the curry was evident. What I was able to appreciate from this was their salad. I loved how the greens tasted fresh, with just the right amount of dressing. Well, to some up on the food, I think that Aozora’s food has nothing really special to offer compared to other traditional Japanese restaurants. Don’t get me wrong, their food is GOOD, I just didn’t find any WOW factor. 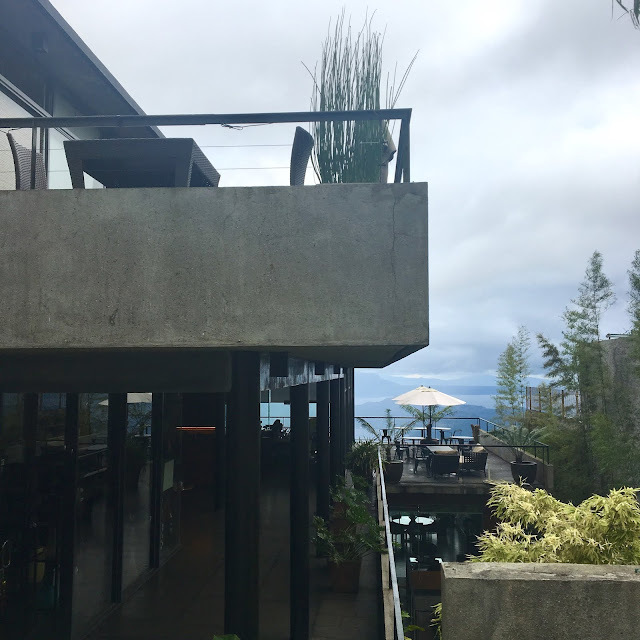 However, it is important to note that what we enjoyed about Aozora more than the food is the view. You won’t be able to eat overlooking Taal, but the architecture of the place makes you have a great look at it. It’s beyond beautiful. That, plus the cold weather, was an experience worth the drive. 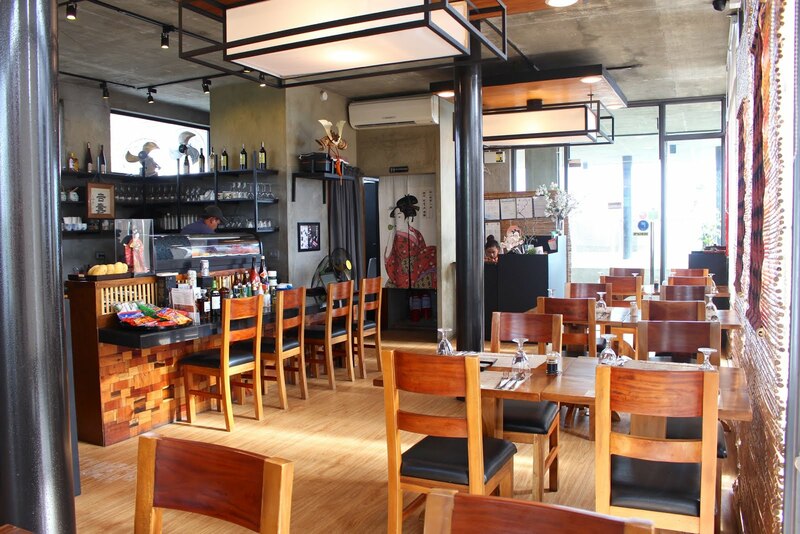 Aozora is located on the second floor (“roofdeck”) of Domicilio Hotel.